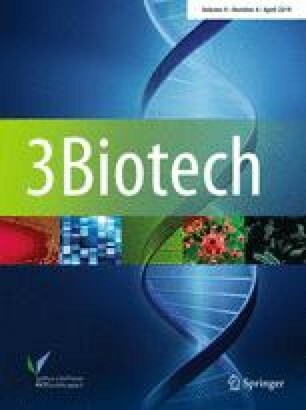 In this study, two indigenous bacterial strains (Ab9-ES and Ab33-ES) isolated from lipid-rich wastewater showed potential to produce bioemulsifier in the presence of 2% (v/v) olive oil as a carbon source. These bacterial strains were identified as Acinetobacter sp. Ab9-ES and Acinetobacter sp. Ab33-ES by polymerase chain reaction and analysis of 16S rRNA gene sequences. Bioemulsifier production by these strains was found to be growth-linked. Maximum emulsifying activities (83.8% and 80.8%) were recorded from strains Ab9-ES and Ab33-ES, respectively. Bioemulsifier yields of 4.52 g/L and 4.31 g/L were obtained from strains Ab9-ES (XB9) and Ab33-ES (YB33), respectively. Fourier-transform infrared spectroscopic analysis revealed the glycoprotein nature of the bioemulsifiers. The bioemulsifiers formed stable emulsions only in the presence of edible oils. Maximum emulsifying activities of 79.6% (XB9) and 67.9% (YB33) were recorded in the presence of sunflower oil. The bioemulsifiers were found to be stable at a broad range of temperature (4–121 °C), moderate pH (5.0–10.0) and salinity (1–6%). In addition, bioemulsifier XB9 showed maximum emulsifying activities (77.3%, 74.5%, and 74.9%) at optimum temperature (50 °C), pH (7.0), and NaCl concentration (3%), respectively. On the contrary, YB33 demonstrated highest activities (73.6%, 72%, and 61.2%) at optimum conditions of 70 °C, pH 7.0, and NaCl concentration of 5%, respectively. Findings from this study suggest the potential biotechnological applications of the bioemulsifiers, especially in the remediation of oil-polluted sites. The financial support of the National Research Foundation (NRF) of South Africa towards this research is hereby acknowledged. Opinions expressed and conclusions arrived at, are those of the authors and are not necessarily to be attributed to the NRF. The first author is thankful to Dr. Ajit Kumar for providing technical assistance to accomplish the research work. The authors declare that they have no conflict of interest in the publication of this paper.